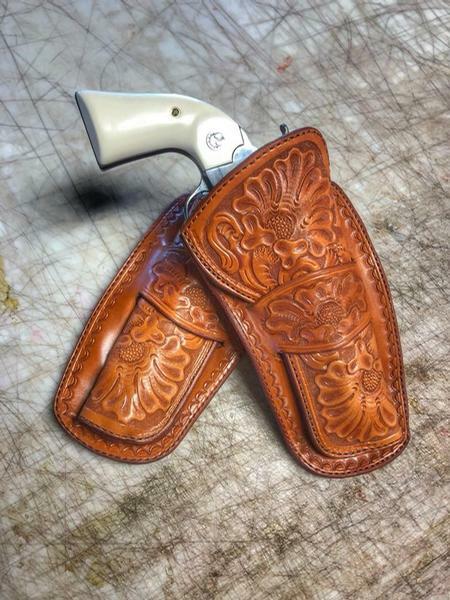 A deceptively simple holster that looks traditional, yet has advanced retention features. 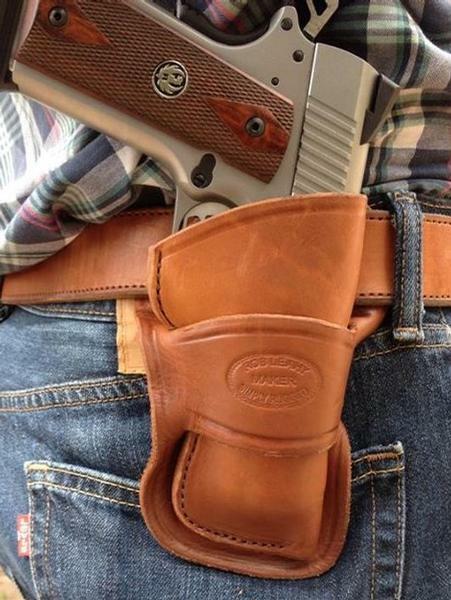 It is a comfortable field or range holster that can be concealed. Designed to ride at a neutral cant, for a smoother draw. 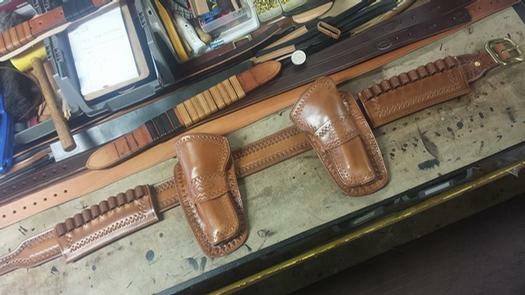 This is made for your pant belt; either 1.5" or 1.75" belts will work (The auto loader models holster is not made to fit wide 2.25" or 2.5" belts, like our revolvers holsters). 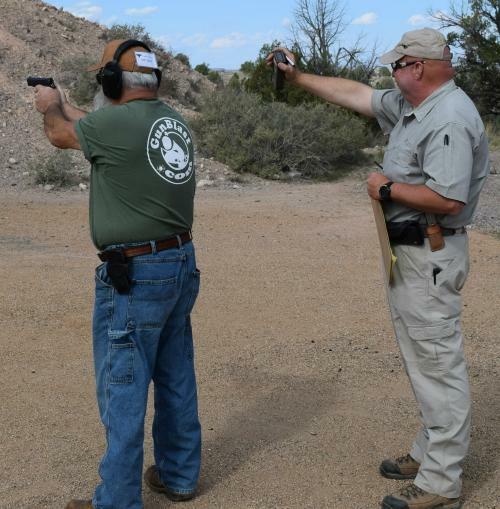 We tested these at Gunsite several times now, They worked great! 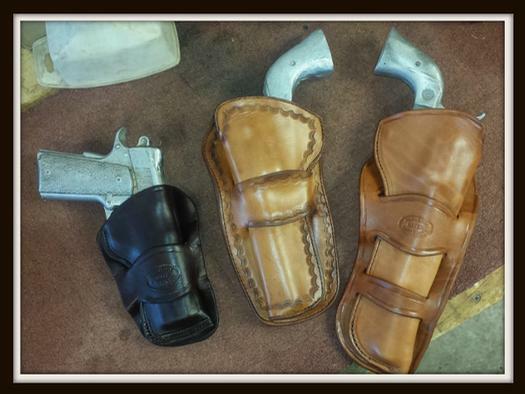 Smooth easy draw and holster carries the gun close to the body and they look great. Available for Browning Hi-Power, the 1911 Commanders and Government models. Note: Floral or Celtic knot carving do not work well with black. Oxblood or tan works better.